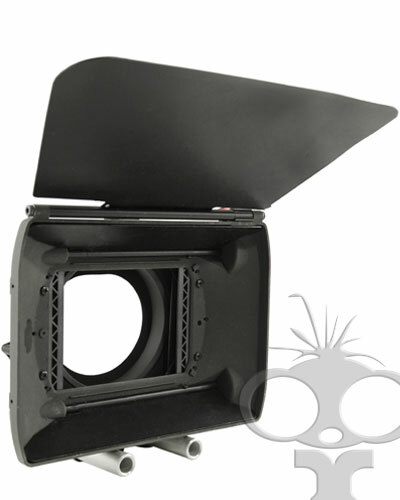 For expert light control we recommend the Vocas mb-250 matte box. This cinema grade mattebox fits onto our 15mm rod mount systems and can be used with virtually any camera, including the Canon 7D and 5DmkII. The matte box is lightweight, has internal 'eyebrows' and comes equipped with a top flag. It also has one fixed and one rotating filter stage. The filter stages will fit 4x4 filter sizes and these can be rotated through a full 360 degrees. The Vocas MB-250 is supplied with a top flag and 2x 4x4 filter trays. Rod mounting solutions are available including a Vocas camera mount.